Set in the tranquil and rural landscape between Manilva and Casares, Hedionda Roman baths are the remains of the ancient bathhouse which dates back to the 1st century BC. The structure is still available for use today, free of charge. The remains of the underground bathing facility consist of two chambers – a smaller outer chamber and a much bigger inner chamber. Roman baths are not very popular among tourists and most of the time the place looks almost abandoned. 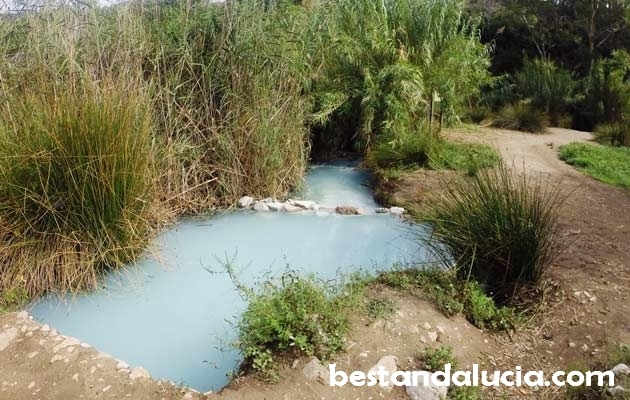 However, during hot summer weekends you will find there lots of locals taking advantage not only of the healing properties of the water, but also of the curative mud scrapped from the popular mud wall. According to the ancient sources, the sulphurous spring was very popular among both Romans and Arabs. One of the old stories holds that Julius Caesar himself took to the waters on a regular basis to cure himself of a skin infection when he was a governor of southern Spain. Canuto de la Utrera and Charco del Infierno/Diablo are two spectacular walking routes available for tourists near the Roman baths. 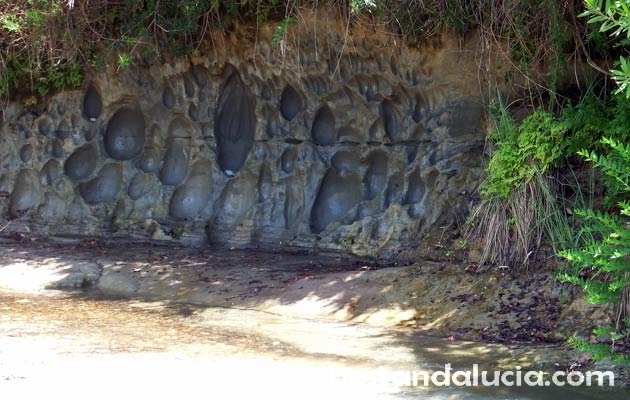 The first one takes you into a valley-gorge with beautiful limestone rock formations on both sides. 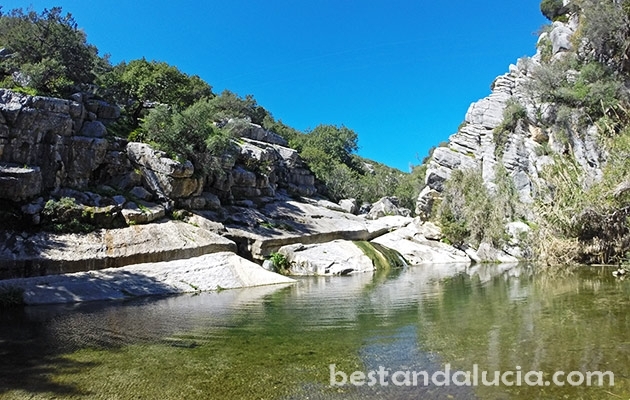 Because of the unusual rock forms, Sierra de Utrera is called by some people ‘small Torcal de Antequera’. The second route leads along the Rio de Manilva, and a couple of times across the river, to a charming swimming pond with a waterfall. It is possible to connect both routes into one 8 km long circular route. From the coastal A7, take a turn inland at the Lidl roundabout in Sabinillas. Follow the Camino los Baños road. Just before the road passes under the highway bridge, turn slightly to the right on a dirt track. After 200 meters, you will find a small parking space on the left, opposite the old Los Alamos restaurant. Continue on foot until you reach Baños De La Hedionda. The Roman Baths are also easily accessible from the A7 highway.